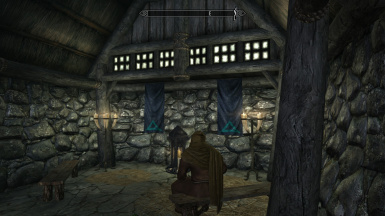 Adds a Temple with a Shrine to Julianos to Winterhold.
.:Temple of Julianos - Winterhold SE:. This is the Skyrim Special edition version. I found it odd that there was no dedicated shrine in Winterhold. Yes it was destroyed but given the recent conflicts about divines and how religious the Nords seem to be I just found it odd. Plus Winterhold is one of my favorite Cities/Towns/Ruined place because I normally play as a Mage. So why Julianos and why Winterhold? I wanted to add something different to Winterhold, something that was not really done before. I did not want to make a massive mod so I thought small. Compact. This was the result. 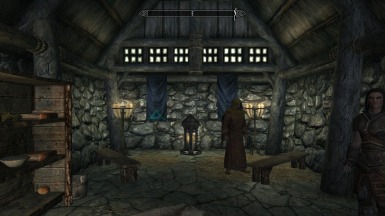 I released a previous mod on STEAM a few years back that just added a shrine to the corner of Winterhold but this time I wanted something in-doors. 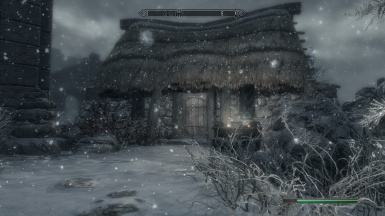 This mod adds a small temple to Julianos in Winterhold. Inside the temple is a Shrine to Julianos. It is located to the right of the college bridge entrance, just behind one of the ruined houses. The Temple is not very big (Half a house!) with the other half dedicated to living space for the priest that runs the temple. The priest has a schedual, he will sandbox in the house from 8am - 8pm where he will then break for food while still inside the temple. The temple closes its doors at 10pm and reopens at 8am. The door will be locked and you will not be able to access the temple during this time. 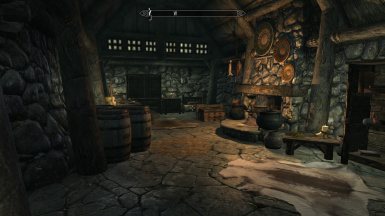 The SSE version comes with some added details such as more decoration to make the place feel more lived in. The Temple is full Nav-meshed. This mod is NOT compatible with any mod that drastically changes Winterhold. So any massive restoration/more ruins mods will conflict. It does not touch the college so it is compatible with any college mods.
.:My Winterhold Mods for SSE:. Galdran for there DIY Custom Banners mod which was used to make the Julianos Banner. AndrealphusVIII for pointing me towards Galdran's mod.